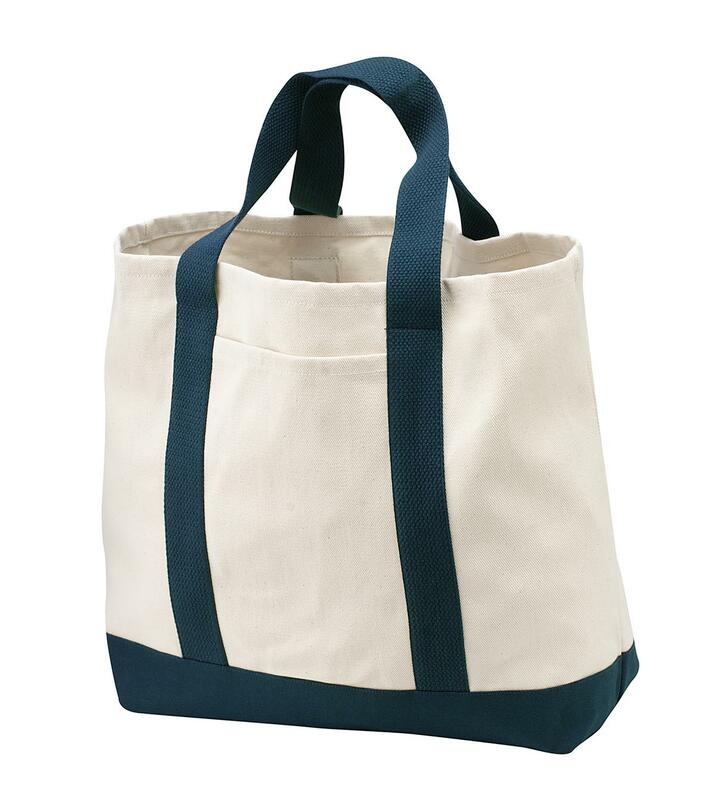 Carry necessities with a touch of traditional style.10-ounce 100% cotton twill contrast canvas bottom Deep exterior pocket for easy decoration Cotton web handles Dimensions: 14.5 h x 14 w x 5.5 d; Approx. 1 116 cubic inchesNote: Bags not intended for use by children 12 and under. Includes a California Prop 65 and social responsibility hangtag.